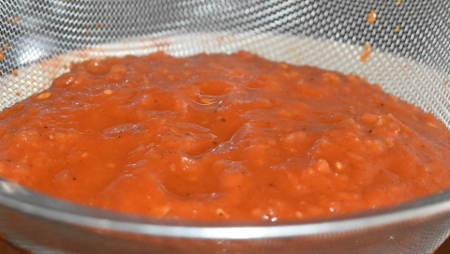 This banging barbecue sauce recipe is based on the classic, tomato based barbecue sauce. Full of rich and smoky flavour, it livens up any BBQ food you put it on. 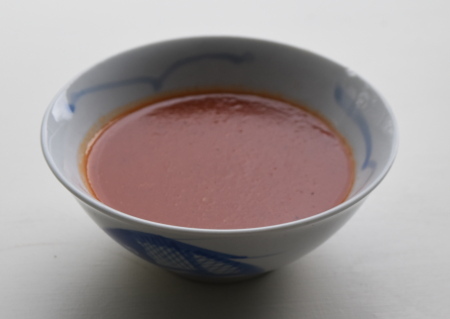 I’m using smoked paprika to give the sauce its characteristic smokiness; I find that liquid smoke gives a very artificial flavour that just isn’t right when you’re cooking fresh unprocessed food! I’ve nicked the backbone of this recipe from my dad – he used to make it en masse and bottle it up for when he catered at food festivals and farmers’ markets. It truly was a banging barbecue sauce as it always went down a storm, so here’s my version. Makes about 375ml (1½ cups) of Banging Barbecue Sauce. Prep time: 20 minutes. Cooking time: 1 hour. Start by frying the onions in the vegetable oil in a medium sized saucepan on a medium heat. Once the onions have started to soften, turn down the heat slightly and add the garlic and tomato purée. Add all of the other ingredients apart from the cornflour and give it all a good mix, before covering the saucepan and leaving the mixture to simmer for about 30 minutes. Take the pan off the heat and allow the sauce to cool for a few minutes. Then transfer the mixture to a food processor and blitz until the sauce is fairly smooth. Pour the mixture from the food processor through a sieve back into the pan, using the back of a spoon to push as much liquid through the sieve as possible. You should be left with a silky smooth liquid in the pan. Mix the cornflour with a couple of tablespoons of water in a small bowl, then add it to the smooth barbecue sauce to thicken it. Put the barbecue sauce back on the heat, and reduce it down until you reach the consistency you’re looking for – if you want a sauce to pour over your carbohydrate of choice (eg pasta) heat the sauce for about 10-15 minutes. If you want a dipping sauce consistency, reducing that will take about 20 minutes on a high-ish heat. Serve your banging barbecue sauce with whatever delicious barbecue food you like! Enjoy!